Today is Thanksgiving in America. The modern Thanksgiving holiday tradition is commonly, but not universally, traced to a poorly documented 1621 celebration at Plymouth in present-day Massachusetts. The 1621 Plymouth feast and thanksgiving was prompted by a good harvest. In later years, religious thanksgiving services were declared by leaders such as William Bradford, Governor of Plymouth colony, who planned a thanksgiving celebration and fast in 1623. The tradition of Days of Fasting and Days of Thanksgiving was carried to the new world by Pilgrims and Puritans, when they began emigrating from England in the 1620s and 1630s. 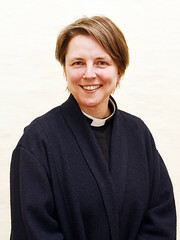 The Pilgrims were brought together by a common belief in the ideas promoted by Richard Clyfton, a parson at All Saints’ Parish Church in Babworth between 1586 and 1605. The church contains many interesting items recalling the Pilgrims including the chalice used by Richard Clyfton for communion services. 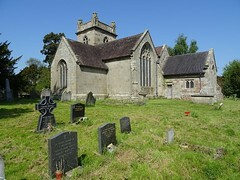 The church of All Saints is around 900 years old. It is a small but handsome structure with a tower steeple with three bells and a clock, a nave, chancel and a handsome porch. Most of the building dates from the 15th century, with several 18th century memorials and 19th century stained glass by Kempe. The chancel and sanctuary contain furniture by Robert ‘Mousey’ Thompson, featuring his trademark mouse carvings. The Manor House was home to William Brewster, a former diplomatic assistant to the Netherlands, serving as postmaster for the village and bailiff to the Archbishop of York. In 1605, Clyfton was declared a nonconformist and stripped of his position at Babworth. Brewster invited him to live at the Manor House, and for the congregation to meet privately there also. Beginning in 1606, services were held with Clyfton as pastor, and Brewster as the presiding elder. The 13th century limestone church of St Wilfrid with its tall early 15th century tower and steeple is Scrooby’s focus. The west window is also early 15th century. The south aisle was added in the early 16th century. T he church’s roof, pews, font, pulpit and east window were restored in 1864 after a period of neglect. The east window received stained glass in 1889. The church is easily visible from the train (east coast mainline) for its tall spire, most other churches in this area have square towers. Congregation member William Bradford was born in Austerfield, and baptised in the font at St Helena’s church. Kept a journal of the congregation’s events leading up to leaving England, living in Holland, traveling across the ocean and during the settlement of the Plymouth Colony in America. It would later be published as Of Plymouth Plantation. The church of St Helena was built in 1080. 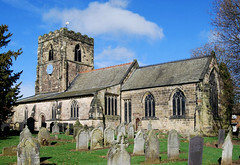 In 702AD Austerfield was the location of a Synod, where a dispute between the King of Northumbria and Wilfrid, Bishop of Ripon was resolved. The Synod also discussed and agreed was the way that Easter is calculated. The church has several windows by one of England’s greatest stained glass artists, Charles Earner Kempe. In the nave is a Sheila-na-gig of which there are only 16 recorded in England! You will no doubt have guessed from this that I do not live in London, but in Yorkshire.